In digital era to run a small and large Industry HR & PAYROLL MANAGEMENT SYSTEM can be your best yokemate Where you can manage everything at a single click. Moreover a reliable HRM system can change your company’s work environment and create strong reliance between employees and owner’s. Besides it can automate all Industrial work like employee’s daily attendance, monthly payroll, leave management, Increment, promotion, employees PF, festival bonus, Management reporting, daily scheduling etc easily. After understanding the Importance of HRM system in an organization MASSTECH has Introduced an excellent HRM system named as SHOMOY both in Desktop and web version that can operate your business smoothly and transparently. Why choose our HR and Payroll Management system? 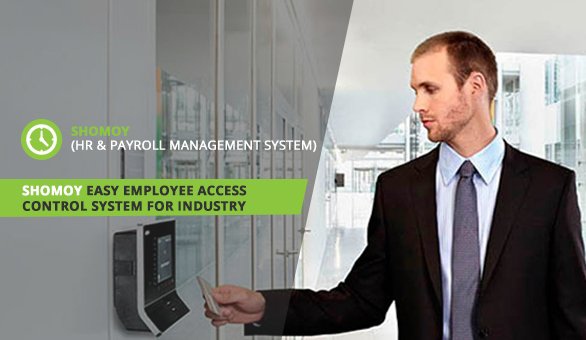 Every small and large business uses HR and Payroll Management system to store employee’s information, salary information, incremental and promotional history, attendance record and so on. Our system covered everything that a business need. We offer a well timed HRM system from the following area. We are here to answer any question you may have about our Hr and Payroll Management System. Also you may want a schedule for product demonstration. Reach out to us and we will response as soon as possible.